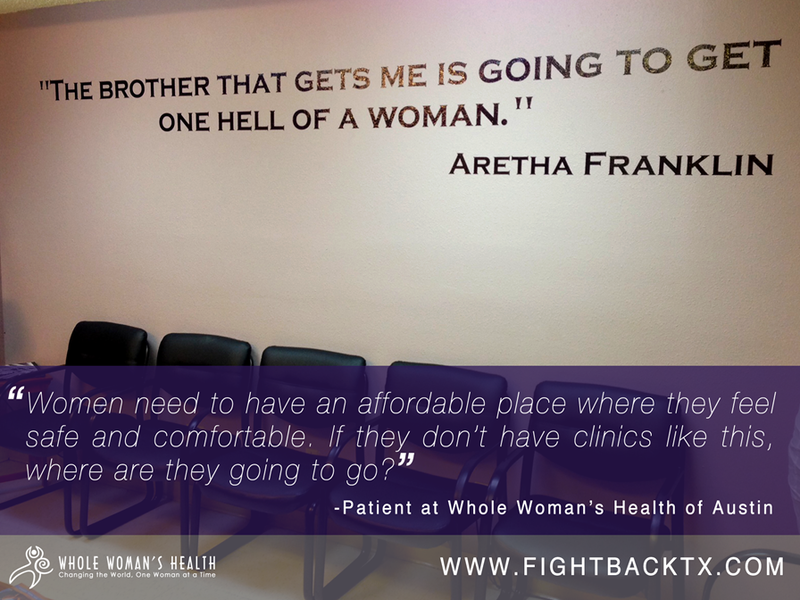 Throughout this week, we’ll be posting different stories from patients at our clinics in Texas that are feeling the affect that House Bill 2 has had on our locations in Austin, Fort Worth, and San Antonio. The patient talked about being pregnant at 6.5 weeks and already being able to tell that her body just wasn’t ready, and that it seems like every generation has to fight some sort of battle when it comes to making decisions about their own bodies. As women come to our clinics seeking an abortion, we have been collecting their stories as a testament to the state of reproductive healthcare in Texas leading up to the anniversary of Wendy Davis’ filibuster and the signing of House Bill 2 in July of 2013. To read more personal stories and/or to speak up and have your voice heard about the harmful affects of House Bill 2, go to www.fightbacktx.com.